This research topic explores new technologies – from wireless sensors to 3D printing – to find creative ways of supporting the needs and goals of older adults and their care partners. We are leading research on technologies that support aging in new and innovative ways – from novel sensors to 3D printing. 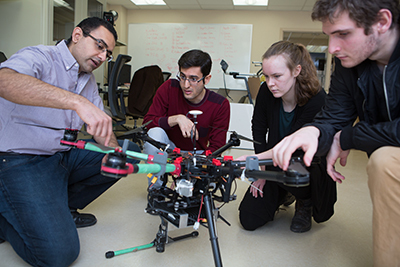 Interdisciplinary research teams combine their knowledge and skills to push the boundaries of what is possible. RIA researchers partners with many other academic institutions, and collaborate with entrepreneurs and older adults and care partners. Technologies are developed with and for older adults to meet their needs, goals, and abilities.